Fifteen stories in eighty-eight pages and it’s called Karate Chop? Pictures spring to mind of sharp-edged minimalism, the jolt of the unexpected. 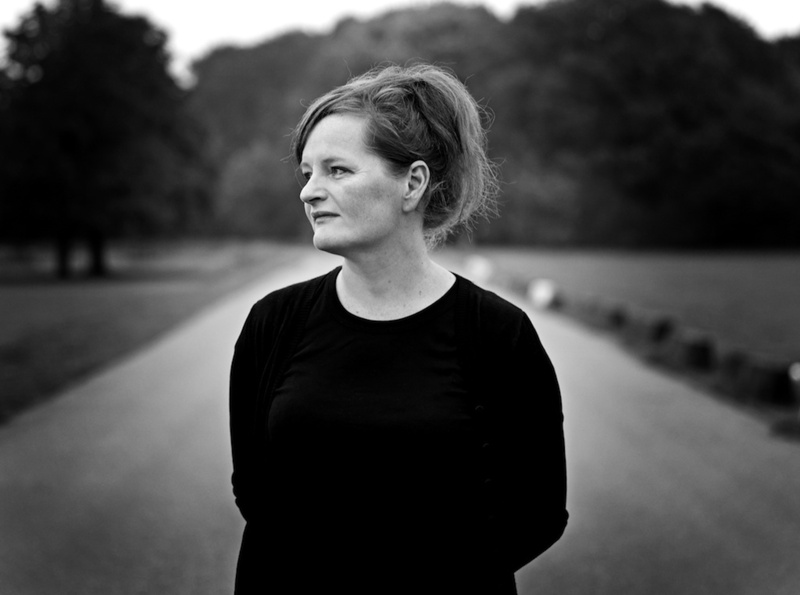 I had high hopes for this collection, the first English publication of Danish author Dorthe Nors (translated by Martin Aitken for Graywolf Press). It garnered widespread critical acclaim and I, expecting something quite unique, was unprepared for what I got: all too often rote slice-of-life stories. I’ve never cared for slice-of-life, mainly because it’s so hard to do well. Especially in shortened form, it makes too often for quotidian extracts from life packed together without breathing room. A writer has to be either an excellent stylist (Mavis Gallant, Edna O’Brien) or supremely perceptive (Anton Chekhov, god of the life unlived) for it to work. Nors has these qualities but not in a reliable amount. What she excels at is atmosphere and her stories only pop when she allows slice-of-life to have a freak accident. In that way, she reminded me of Joyce Carol Oates, only with greater discipline (well, it’s hard to have less) and an air of mystery. Nors doesn’t believe in spelling things out for the audience. It’s unfortunate then, that so much left unsaid feels so ordinary. A man and his dog in the twilight, but something more. He had to take it in. Take a good look, because that’s how it was: there was something inside Morten that shunned the light. Something Tina said was a kind of complex. He didn’t know what it was. He didn’t know what to say about it, other than that it smelled like offal, and that the smell was spreading. This ominous trait is so good that reviewers tend to emphasise it, but in truth fewer than half of the stories hit that mark. The rest, though moody, do not carve out a distinct identity for themselves. It doesn’t help that, without the atmospheric displays, Nors’ writing is thoroughly nondescript. I particularly remembered the front door when I turned to go back inside. The light from the lamp shining on the wall cladding and door handle. That sort of thing. 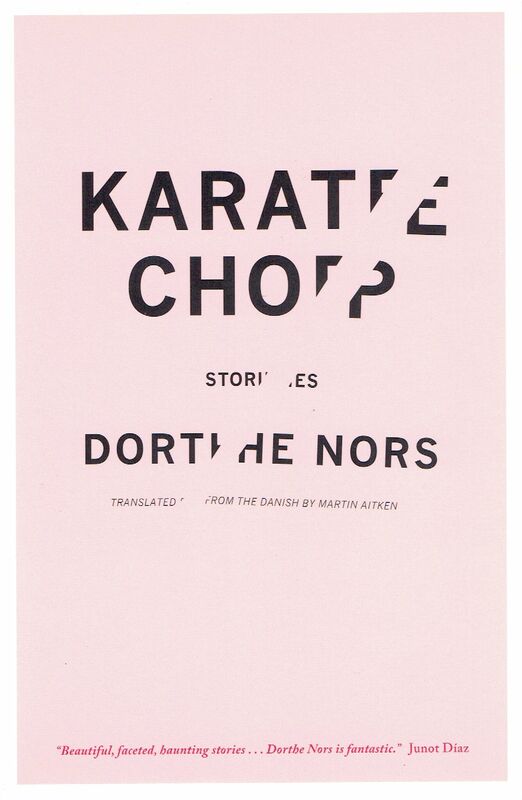 Apart from the Danish setting and stylistic brevity, there is very little here to differentiate Karate Chop‘s divorces and family traumas from the rest of the pack. Because of the brevity, Nors has been compared to Lydia Davis, but to qualify she’d have to break her stories down even further. ‘Nat Newsom’ fills four pages, but the wham moment, when Nat allows himself to be conned by an especially inexpert hustler, requires only one to set up and execute. Several of the less interesting stories could have hit a nerve with this treatment. ‘Hair Salon’ splits its attention between an old lady in a laundromat and the dog she dopes up so she can keep it in her apartment. The old woman pretends a solidarity with the narrator to salve her own isolation in the modern world but the detail about the dog is a far more powerful way of transmitting that. The strongest stories in Karate Chop actually fulfill the promise of its title. The twisted premise of ‘The Buddhist’ is treated with a sense of humour that in no way impinges on its horrifying punchline. ‘The Heron’ is narrated by a morose and death-haunted man, musing on the sickly herons and occasional dismembered bodies you can find in the park (it was featured in the New Yorker and fully deserved it). ‘Female Killers’ also features a morbid man at its center, obsessed with women who kill and the survival of the fittest. ‘Karate Chop’ succeeds with a familiar tale, as an abused woman questions her relationship choices with an especially opaque and subtly chilling conclusion. These and ‘Mutual Destruction’ show what she’s capable of. Memorable and finely tuned sketches of life on the regular side of macabre. And all her talent is given full rein in the final and best story, ‘The Wadden Sea’. If only she could sustain such a voice… In spite of the disappointing nature of this collection, Karate Chop has some truly excellent stories that are well worth a read. I can’t recommend it overall unless you really enjoy slice-of-life. But I’m nevertheless anticipating the translations of some of her novels (she’s written five). Is she average with flashes of brilliance or is she in the process of cultivating a unique voice for herself? It could go either way but I await the answer with interest.